Nursery furniture is the cornerstone for any baby's room. The furniture you select for your little one's room will be the building blocks to your nursery theme. The baby furniture you will want to consider for your nursery include bassinets, cribs/beds, dressers, chests, chairs, changing tables, bedside tables, bookcases, child sized table and chairs, and toy chests. You won't necessarily need all these items, these are just the pieces you will consider when planning your baby's room. Depending on the size of your room, you may or may not have room for all these pieces. But don't let that get you down. 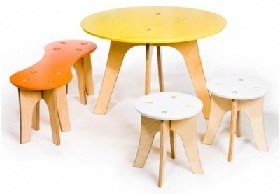 There are lots of creative baby furniture designers that have found ways to make many of these pieces multifunctional. A dresser cannot only hold your little ones wardrobe, but you can add a couple of accessories to the top and it doubles as a changing table. 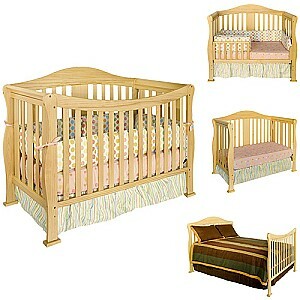 Cribs these days are nothing like they were when I was purchasing for my daughter. In my day, the Jenny Lind was the ultimate in nursery design. Today, cribs convert to toddler beds and then to full size twin beds. They no longer have those dangerous drop sides and spindles that are set too far apart. Rather, they come in sleigh bed styles, square, round, with canopies and so much more. The finishes range from natural blonde wood to wrought iron and high gloss finishes. If your nursery will grow with your little one, a convertible crib may be a great solution for you. These cribs are designed to evolve into a toddler bed and even twin beds. This way you don't have to buy new furniture as your newborn grows to toddler and beyond. Their room can grow with them. 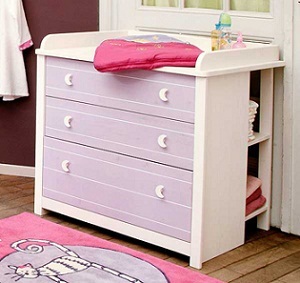 You'll want to consider storage when you're selecting the nursery furniture. Dressers or armoires with lots of drawers are perfect to hold all those small clothes. You'll also want a place to put their equipment from baby monitors to nail clippers, brushes, safety pins, all sorts of items. In this case, you may want to also have a toy chest to store all those toys that will certainly pile up soon. A child sized table with two to four chairs is also a great addition. This gives your little one a place to read, to learn to color, to put together puzzles or perhaps a tea party. To prepare for your shopping trip for your nursery furniture, there are a couple of tips that will help you select the perfect items. You can draw a picture in your planning notebook with your room measurements. Don't forget to account for doors and windows. It's very difficult to eyeball how a piece of furniture will fit in your room once you are in those spacious showrooms. If you go with your measurements in hand, you'll be able to tell if that dresser is too big to fit under your window. Before going shopping, you should sit down and determine how much you can afford to spend to set up your nursery. Budget not only for the nursery furniture, but for paint, flooring, wall decor, lighting and bedding. While you may receive some of these items from family and friends at baby showers, you should still budget for them in case you need to fill in for items you didn't receive as gifts. When you do shop for furniture, check not only the department stores, but shop on-line retailers, on-line auctions, garage sales and listings like Craig's list. Baby items are big at yard sales. You can frequently find great bargains. Just be sure to examine the items closely. You want to look for loose or missing parts, screws, hardware. Minor scratches can frequently be repaired depending on the finish. Now that you have determined the furniture pieces you will be placing in your nursery, it's time to think about the decor to bring your nursery rhyme theme to life. Baby Nursery - Great ideas to start designing this all important room! Bassinets - the perfect bed for a newborn! 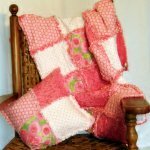 Bedding - The bedding brings the whole room together! Ceilings - Ceilings are a great fifth wall! Colors - Rooms don't have to be pastels any more! Flooring - Solid surfaces to rugs and carpets, lots of options. Lighting - Great light fixtures will add a lot to your nursery room. Nursery Rhyme Themed Nursery -For ideas on how to incorporate your favorite rhyme into your babys room! Wall Finishes -Check out all the ways to do walls with just one nursery rhyme!